AzSoccerEvents accepts VISA and Master Card. Be sure to use our ONLINE Payment feature for your convenience. Age Brackets: BOYS & GIRLS: U-19, U-18, U-17, U-16, U-15, U-14, U-13, U-12, U-11, U-10, U09, U-8, U7. If you want to play up an age bracket you must clearly notate your application. Games: 3 game minimum in all brackets. Championship and Third place games in competitive brackets only. ALL GAMES ARE REGULATION LENGTH. On Friday night a limited number of night games will be played by Phoenix teams only. Out of city teams requesting to play on Friday night must do so in writing with their application. Loan Players: Up to five (5) loan players on teams in competitive brackets. NO LOAN PLAYERS for recreational brackets unless pre-approved. Credentials: All players must have 2018-2019 US Youth Soccer, US Club Soccer or AYSO player passes, medical release forms. NO PASS OR PAPERWORK NO PLAY! Awards: Individual player awards for First, Second, and Third Place for U9 to U19, Academy brackets reeive participation awards. U-7/8 standard format to receive participation medals. 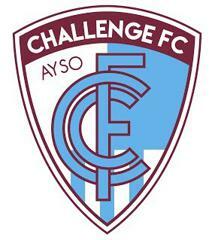 Rules: US Youth Soccer subject to specified modifications by US Youth Soccer/Arizona, and the Challenge Fc Challenge. A copy of the rules is available on the web site and will be given to the coach at check-in. Disclaimer: AzSoccerEvents, its sponsors and the tournament hosting organization will not be held responsible for any reason which may affect the tournament format. In the event of the tournament, event, or division cancellation due to acts of God, inclement weather or other reasons beyond the control of AzSoccerEvents, entry fees will be forfeited. Any team which drops out of the tournament after deadline will forfeit its entry fee. All greater Phoenix area teams (Maricopa County) must check-in as scheduled. Any Phoenix area team that fails to check-in at it’s scheduled time will be assessed a $50.00 Check-in fee on Saturday morning prior to being allowed to check-in. All out of county and out of state teams will check-in one hour prior to their first game at tournament headquarters. Schedules: Schedules will be online at www.azsoccerevents.com seven days before the start of the tournament. NO SCHEDULES WILL BE MAILED. CHECK IN INFORMATION WILL BE POSTED ON THE WEB SITE AS WELL. ALL SCHEDULES ARE SUBJECT TO CHANGE, UP TO THE START OF THE TOURNAMENT. If a change affects your first game you will be notified.